A new study out of RPI shows that when 10% of a population shares a belief, that belief will inevitably be taken up by a majority of society. And when less than 10% has a belief, it will never be taken up. This conclusion was reached by running many scenarios through various computer models of societies. Most interesting, and most daggerly through Malcolm Gladwell’s theoretical heart, is that no matter what sort of connection scheme the researchers put in their models — equal connections, some highly connected “influencers,” promiscuous connections — the results turned out the same. 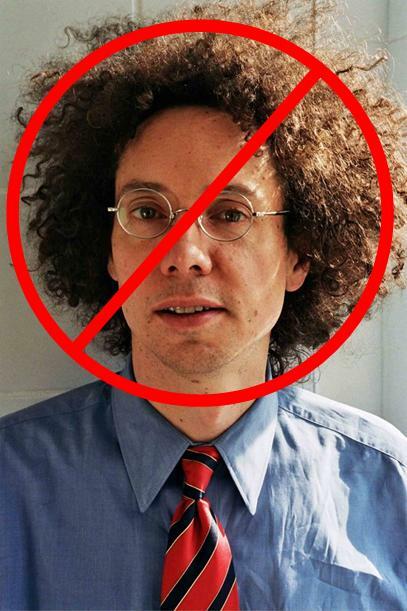 Yet again, Gladwell’s concept of important trend setters falls under the weight of experimental data. One of the big concerns in the debate over health care reform, and rightly so, is how we’re going to pay for the costs of insuring millions of additional Americans. People are looking at various taxes and rate reductions and other mechanisms, with an emphasis on driving waste out of the system. As long as we’re talking about waste, I’d like to point out that drug companies spend tens of billions of dollars a year on marketing. Pharmaceutical marketing expenditures generally fall into three categories: direct to consumer advertising, sales reps and samples. There are some other buckets, but these three are the biggies. From the drug company perspective, these expenditures are not wasteful. They drive market share gains for particular drugs; if they weren’t effective, the drug companies would not do them. But from a systemic standpoint they can be wasteful. Since doctors should make their prescription decisions based on data, all they need is education. Any efforts to “sell” them drugs are, theoretically, unnecessary. Direct to consumer advertising, which is around $4 billion per year, is clearly wasteful to the system. The average person has no ability to judge between competing statins or anti-depressants or erectile dysfunction drugs. Asking your doctor for Lipitor because you saw a commercial with a pretty woman has nothing to do with data or drug efficacy. People do it all the time – that’s why we keep seeing those ads – but from a societal standpoint, that $4 billion is money being flushed away. Samples cost drug companies between $6 and $16 billion, again depending on the data source. I don’t know if those figures are retail value or cost; if they are retail value, then the actual cost to the drug companies is clearly much lower, given the high margins on drugs. It would seem like sampling is unnecessary. If doctors are making their prescribing decisions based on published data, they probably shouldn’t be telling their patients “here, try this one. I got it from my rep, so it don’t cost nothin’.” On the other hand, samples give patients a period of free drugs before they have to start paying for their prescriptions, so I’m calling this a wash overall, rather than a waste. Plus, I have been the beneficiary of several courses of free drugs courtesy of samples and my awesome GP. I know that trying to limit drug company marketing expenses is politically impossible. I also recognize that there could be 1st Amendment issues in trying to prevent companies from marketing. But with $15 to $25 billion per year being wasted, it sure would be nice if we could deploy some of that money on care instead of selling. I recently finished reading a great book called An All-Consuming Century by Gary Cross, a professor of history at Penn State. In this book Professor Cross traces the history of American consumerism in the 20th century, exploring the various roles of consumers, marketers, politicians and temperance movements, and teasing out theories of why America is so much more consumery (my word, not his) than other countries. There is too much in his book to summarize, and I’d prefer that you buy it anyway, because it’s a great book. It’s currently number 330,562 on Amazon and I’m sure that we can get it up in the two hundred thousands. Suffice it to say that in a society founded on egalitarianism, consumption can be a method of both differentiation and assimilation. One of the side themes that emerges from Cross’ book, and the one this blog entry is actually about, is the role that corporate lobbying has historically played in keeping consumption up. At a time when the role and power of Wall Street and insurance company lobbying are being much discussed, it seems appropriate to note that it’s nothing new for big business to use its money and lobbying clout to push around the little guy. The fact that corporate lobbyists have been harming our hypothetical little guy for decades doesn’t make it right. I’m sure that the moneyed and powerful have been pushing their interests for longer than that. But in a US congressional system that has become so driven by the need to raise vast sums of money, the power of lobbyists is greater than ever. Solutions? Campaign finance reform and term limits are both possible answers. But the strongest answer is for voters to be aware of what their representatives are doing and act accordingly. Hey Montanans: if you don’t like that Senator Baucus took millions from the insurance industry while writing the health care reform law, then vote him out. We the people have a fair amount of power, but we have to work to exercise it.